Nothing says chic quite like this geometric-inspired ring. 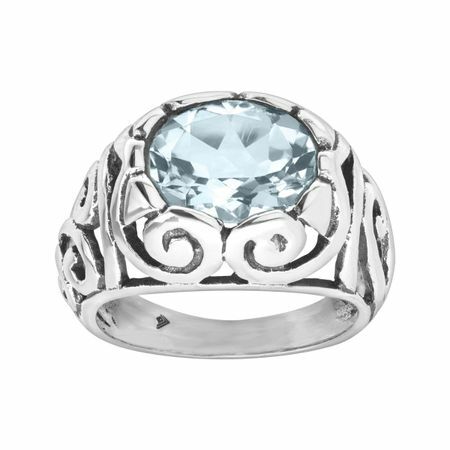 Crafted in quality sterling silver, a 5 ct natural blue topaz is bezel-set for a bold look that strays from the norm. Ring face measures 7/16 inches in width.